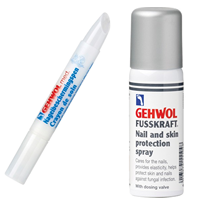 ﻿ Gehwol med Nail Protection Pen effective protection from mycosis. 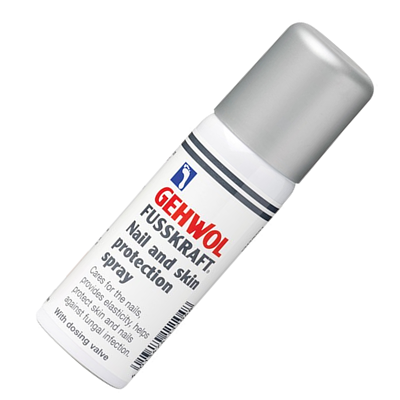 1 x Gehwol Med Nail and Skin Protection Spray. 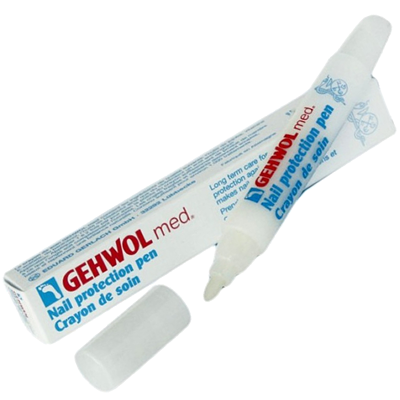 Gehwol med Nail Protection Pen, ensures the long-lasting health of your nails and the effective protection from mycosis. It contains high quality nourishing ingredients, like jojoba oil, vitamin E, panthenol and bisabolol. This spray protects against fungal infection with Clotrimazol and Bisabolol. This spray promotes regeneration with Vitamin E acetate and Panthenol. The dosing valve distributes exactly the right quantity of oil onto the nail. This nail and skin spray improves stability and elasticity and the ability of the nail to bind with water. Use every morning and evening. Shake well before use, clean/dry the feet, then spray over affected areas.